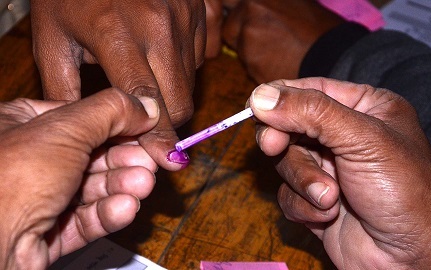 Voting in 807 polling stations for a total of 914 seats for the three-tyre Panchayati Raj passed off peacefully in Darrang district on Wednesday. Even after the stipulated time of closing, a large number of voters were stated to be in queue in a section of polling stations which reflected the good participation of voters during the panchayat polls. However, the Election Department is yet to finalise the figure poll percentage till filling of this report. According to Kartik Kalita, Mangaldai Election Officer, the final reports of polling from the concerned polling officials couldn’t be received but he confidently said that the figure of the average poll percentage would cross 75% in the district. Meanwhile, talking to Northeast Now, Darrang Deputy Commissioner Ashok Kr Barman said that baring minor incidents of delay in starting of polling in two polling stations under Dalgaon Revenue Circle due to rift between two sections over the poll venue, the polling in the district has been completed successfully. In a sorrowful incident, a polling official, who was a PWD employee, namely Ratul Saikia (53), who had been staying in a residence of a colleague at Upohupara in Mangaldai since Tuesday night, died before joining his poll duty scheduled to start from 3 pm on Wednesday. The deceased was a permanent resident of Kahilipara Guwahati. In another incident, a voter while in the queue in a polling station in Saikiapara village of Mangaldai reportedly suffered severe heart attack and died.